Before your tour, please ensure that all tour leads, adult participants, or chaperones are ready for your ahha experience by carefully reading What to Expect During an Ahha Tulsa Self-Guided Tour. Want to book a tour for your family, friend group, soccer team, or congregation? Ahha Tulsa offers guided and self-guided options for groups that range from 8–30 people. Each visitor is required to pay admission upon entry. We request that groups larger than 8 schedule their visit in advance. Our self-guided tours offer the most flexibility in visit length and activities. Each group member will be responsible for individual admission fee upon arrival. 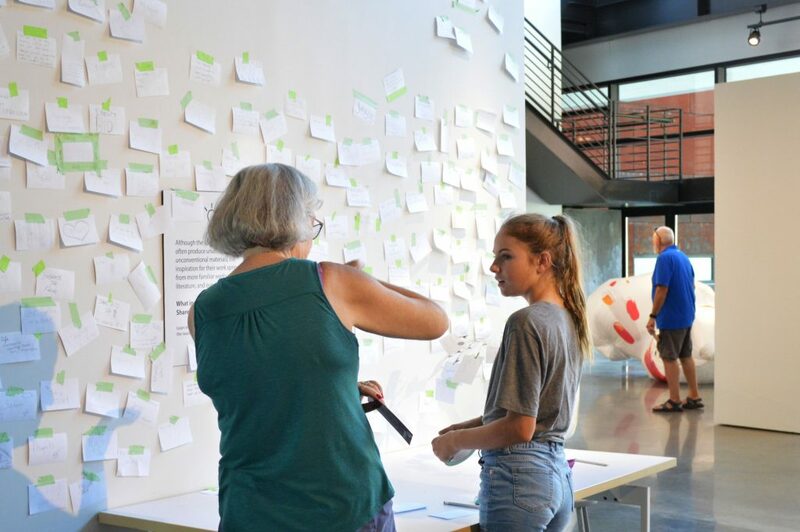 Self-guided groups may freely navigate THE GALLERY, THE EXPERIENCE, and THE STUDIO on the first, second, and third floors of the Hardesty Center. Need a tour experience with a knowledgeable guide? Our guided group tours are for you. Looking for a tour experience with a knowledgeable guide? Our Guided Group tours are for you. Email learn@ahhatulsa.org to determine your group’s needs and schedule your visit. 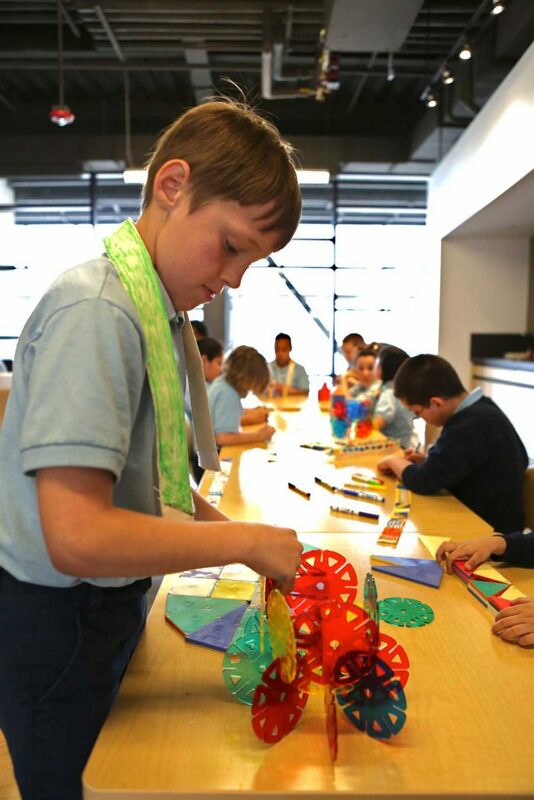 We offer FREE self-guided school tours for students in grades PK–12, as well as colleges and universities. 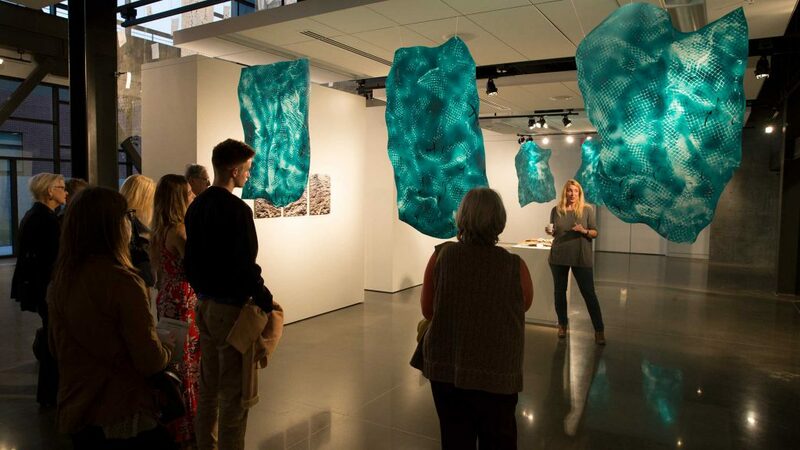 Self-guided groups may freely navigate THE GALLERY, THE EXPERIENCE, and THE STUDIO. K–12 schools must adhere to chaperone requirements of 1 adult for every 10 students. Homeschool groups must pay admission or may take advantage of our Homeschool Days, which occur one weekday during the semester. For-profit day cares or after school programs (i.e., Kinder Care) do not qualify for free tours. Would you like to schedule a visit with an educator to lead your group in conversation and gallery activities? Email learn@ahhatulsa.org for more information. Fees may apply. To request a school or college tour, please complete this form. We strive to make ahha Tulsa accessible to the entire Tulsa community. If your nonprofit serves at-risk or underserved populations, you may be eligible to bring a group (up to 30) to visit ahha free of charge with advance registration. To see if you qualify for an admission waiver, email us with a letter of intent from your organization’s executive leadership that describes how you directly serve these communities. Please also include relevant demographic and socioeconomic information about your clients or program participants, as well as any state or federal support you may receive. You can contact us at learn@ahhatulsa.org. Join us at 1:00 PM on the second Thursday of each month for an adult-focused, child-friendly tour of exhibitions in THE GALLERY. Juice, snacks, and the occasional toddler tantrum won’t bother our expert educators, who’ll engage you in deep conversation, close looking at works of art, and gallery activities. Exhibitions in THE GALLERY change every few months, so you’ll want to return again and again for new experiences. Drop-in stroller tours are included with ahha admission and always FREE for members. Reservations are not required. Want to schedule your own stroller tour with an educator for a private parents’ day out or other event? Email learn@ahhatulsa.org.